From all accounts, District Conference was a success. Attendees heard sessions on Rotary service, the Rotary Foundation, Visioning, Polio Plus, and reports on international humanitarian projects. It seemed that everyone had a favorite session. One Rotarian observed that she had not heard such a thorough explanation of the Global Polio Eradication Initiative, while another person marveled at the outstanding international projects underway in the District. Still another person was persuaded to push his club to hold another visioning session this year. 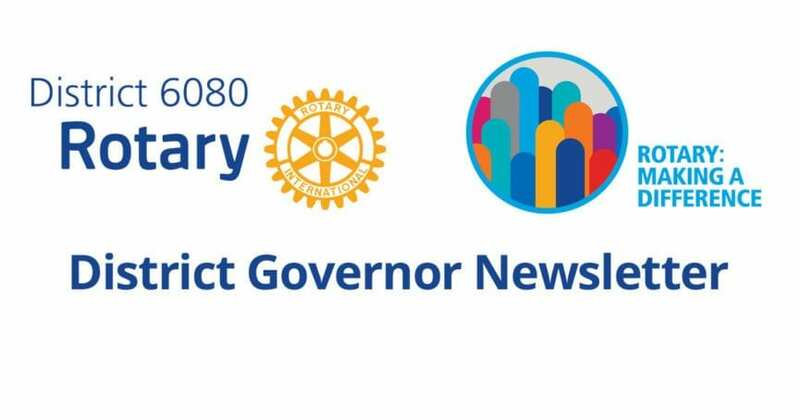 Attendees heard presentations from visiting Rotarians Brent Rosenthal from Columbus, OH and Elizabeth Usovicz of Kansas City as well as persuasive speakers from District 6080. Youth Exchange, RYLA, Interact clubs and Rotaract clubs were also featured. Special thanks goes to all those who led sessions and those were involved in planning and assisting at the Conference.